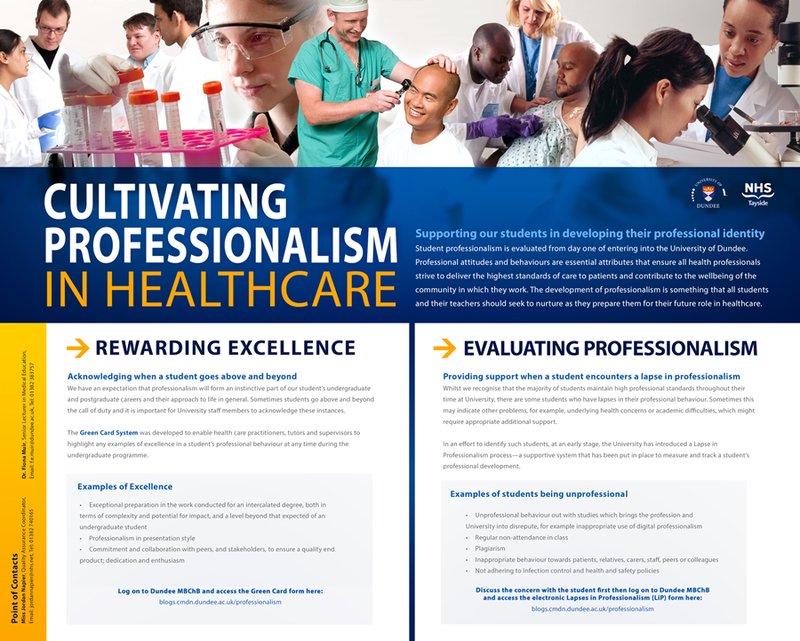 Our objective for this project was to produce a large poster that showcases the motto of professionalism in the healthcare field and undergraduate medical programme. Professionalism is assessed in many ways throughout the undergraduate programme. Both formal (summative) and informal (formative) assessments of professionalism are carried out to ensure all graduates have met the standards outlined by the General Medical Council. Staff who observe students display particularly good, or perhaps, unsatisfactory professional behaviour can report this to the Medical School by using the Green and Yellow Cards respectively. This system is in place to ensure aspects of professionalism displayed in the clinical setting are adequately reported to the Medical School. More encouragement is needed for staff to utilise the reporting system, which is why this poster project came in place. 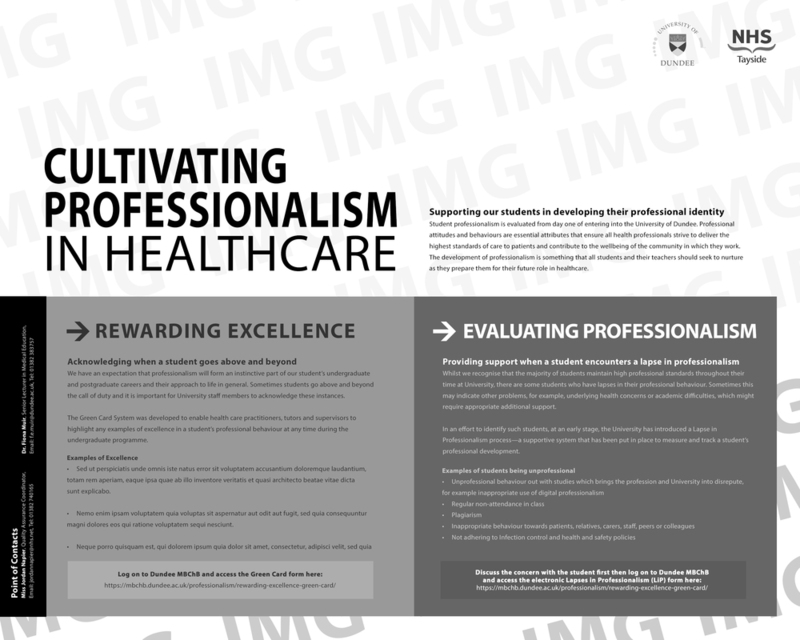 Referring to already created written content on the professionalism website, we developed a text draft of the content that would be included in the poster. As part of round 1 of review, we also placed the draft text into a gray scale poster layout. In round 2 we finalised the text and began to source and place medically-related photography that could be used as part of the poster graphics. To keep costs to a minimum we sourced public domain images or photographs from the University’s archives that best represented the key messages within the poster. Also at this stage we introduced colour that kept consistent with the University’s branding.